2018 was another year of delivery against our strategy. It was a year of good performance from our businesses as we continue to transform Shell into a simpler organisation that delivers higher returns. It was a year in which we demonstrated again that we have what it takes to become a world-class investment case. Our relentless focus on value, performance and competitiveness meant we were able to deliver almost $50 billion of cash flow from operations, excluding working capital movements from our strong and reshaped portfolio. We cancelled the scrip dividend. We started our $25 billion buyback programme, with $4 billion worth of shares bought back in 2018. We completed our $30 billion divestment programme over the years 2016-2018. We delivered $10 billion cash flow from operations from key projects. The divestment programme was designed to high-grade and reshape our portfolio and strengthen our financial framework. When it started in 2016, the oil price was below $40 a barrel and market conditions for executing a programme of this scale were challenging. Nevertheless, we were able to execute deals at attractive valuations, using diverse deal constructs and finding the right buyers for our assets. We simplified our footprint by exiting businesses across the world, but even where we exited, in a number of places we have put in place trading, off-take and brand licensing agreements. Our increased free cash flow generation enabled us to strengthen our financial framework further through reduction of net debt of $14.5 billion, resulting in a gearing ratio of 20.3% by the end of 2018. 2019 will be a year in which we continue to deliver on our promises, focus on cash generation and returns and continuing our strong track-record of delivery. [A] Working capital movements in 2014, 2015, 2016, 2017, 2018 (respectively): $8,782, $4,735, $(8,426), $(2,250) and $3,442 (in million). 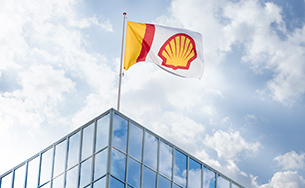 We took the final investment decision on LNG Canada (Shell interest 40%). Construction has started and first LNG is expected before the middle of the next decade. In the US Gulf of Mexico, we have safely started-up Kaikias phase 1, a year ahead of schedule and we have reduced costs by around 30% since taking the investment decision in early 2017, lowering the forward-looking, break-even price to less than $30 per barrel of oil. At our Prelude floating liquefied natural gas (FLNG) facility in Australia (Shell interest 67.5%), wells have opened and gas and condensate are produced and moved through the facility. Once this has been concluded, the facility will be prepared for reliable production of LNG and LPG. In China, the China National Offshore Oil Corporation (CNOOC) and Shell Nanhai B.V. announced the official start-up of the second ethylene cracker at their Nanhai petrochemicals complex in Huizhou, Guangdong Province. The new ethylene cracker increases ethylene capacity at the complex by around 1.2 million tonnes per year, more than doubling the capacity of the complex, and benefits from integration with adjacent CNOOC refineries. The new facility will also include a styrene monomer and propylene oxide (SMPO) plant, which has not started-up yet. In the USA, we announced the start of production of the fourth alpha olefins unit at the Geismar chemicals manufacturing site (Shell interest 100%). 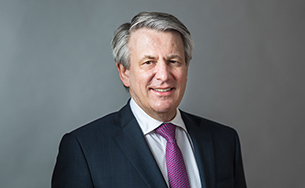 Start-up operations began in December 2018. In 2018, we made notable discoveries in the US Gulf of Mexico and Nigeria. In January 2018, we announced one of our largest US Gulf of Mexico exploration finds in the past decade from the Whale deep-water well (Shell interest 60% as operator). Other notable discoveries include Epu Deep (Shell interest 30%), a near-field gas discovery in the greater Gbaran area in the Niger Delta of Nigeria, and Dover, a large discovery in the Norphlet geological play in the US Gulf of Mexico (Shell Interest 100% as operator). Discoveries are being evaluated further in order to establish the extent of commercially producible volumes. We successfully expanded our acreage by adding new exploration blocks to our portfolio. 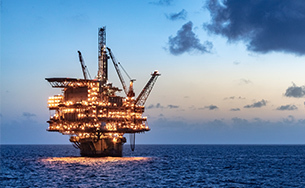 In Brazil’s Santos Basin, we signed 35-year PSCs for the Saturno (Shell interest 50% as operator) and Tres Marias (Shell interest 40%) deep-water exploration blocks. Also, we won four deep-water blocks in the Campos and Potiguar basins. In Mauritania, we signed two PSCs with the government for the exploration and potential future production of hydrocarbons in the offshore blocks C-10 and C-19 (Shell interest 90% as operator). In Mexico, we won nine deep-water exploration blocks, four on our own, one with partner Pemex Exploración y Producción and four with partner Qatar Petroleum International Limited. Shell is the operator of all nine blocks. In our New Energies portfolio, we took the final investment decision on the Borssele III and IV offshore wind farm projects in the Netherlands (Shell interest 20%). We also completed the acquisition of a 43.8% interest in Silicon Ranch Corporation, a developer, owner and operator of solar energy assets in the USA, and we completed the acquisition of First Utility, a leading independent UK household energy and broadband provider.